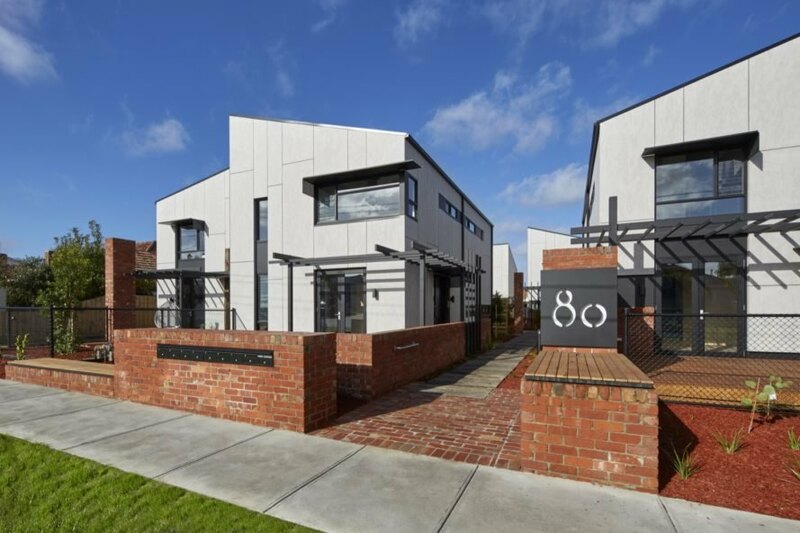 Located in the center of Thornbury near a mix of services and amenities, Clyde Mews includes eight dwellings clustered around a shared green space with an urban garden and a reclaimed timber boardwalk. 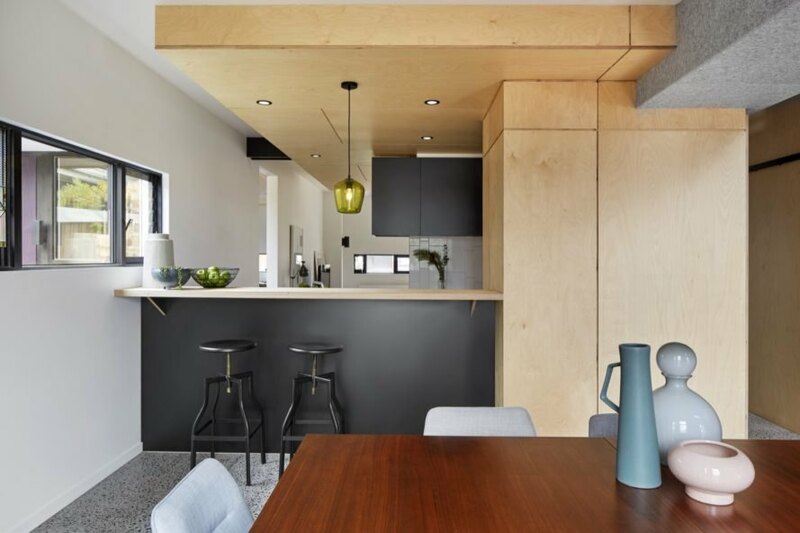 As a medium-density development, the project consists of six double-story, family-centric townhouses and two apartment units ranging in size from one to three bedrooms. 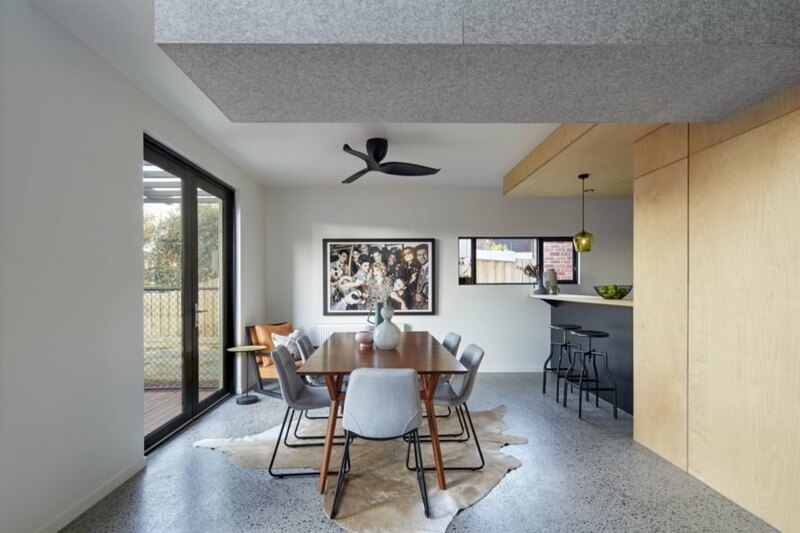 In addition to the tight-knit community atmosphere, the design also stresses resident privacy through the careful consideration of layouts and window placements. 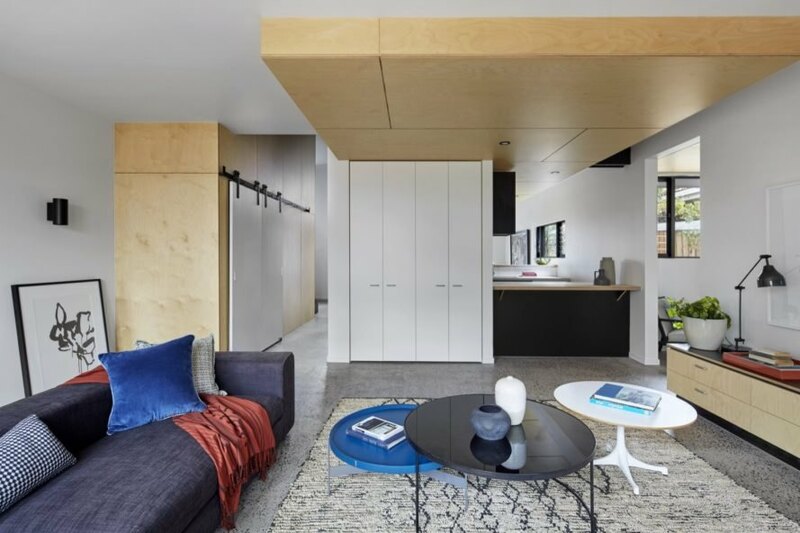 Clyde Mews’ contemporary yet grounded appearance is achieved through a material palette consisting of recycled brickwork, black steel, stained glass, cyclone fences and sustainably harvested natural wood. All dwellings benefit from a 30,000-liter underground rainwater storage tank that collects and stores rooftop runoff for reuse in flushing toilets, filling washing machines and irrigating the communal garden. Each house is equipped with Canadian Solar photovoltaic solar panels as well as Fronius solar inverters. 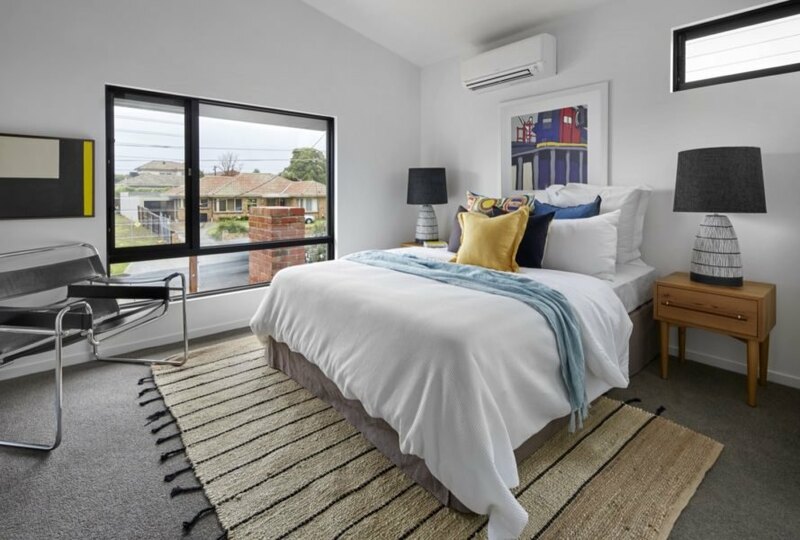 Inside, the Clyde Mews homes are outfitted with Aerotron ceiling fans, hydronic heaters and reverse-cycle air conditioners that work in tandem with passive design features to minimize energy use without compromising on comfort. Examples of passive heating and cooling include high thermal mass exposed concrete floors that absorb sunlight during the day and dissipate the heat at night; cross ventilation; an abundance of natural light through double-glazed windows; and a pitched roof design with operable roof vents to allow hot air to escape. Energy-efficient fixtures range from LED lightbulbs and high-star-rating V-ZUG or Miele appliances. Clyde Mews is a new eco-village in Melbourne. The village comprises two apartment units and six townhouses. The structures were sustainably designed by Six Degrees Architecture. The dwellings are close to a mixture of services and amenities. White walls, light wood accents and large windows brighten each dwelling. 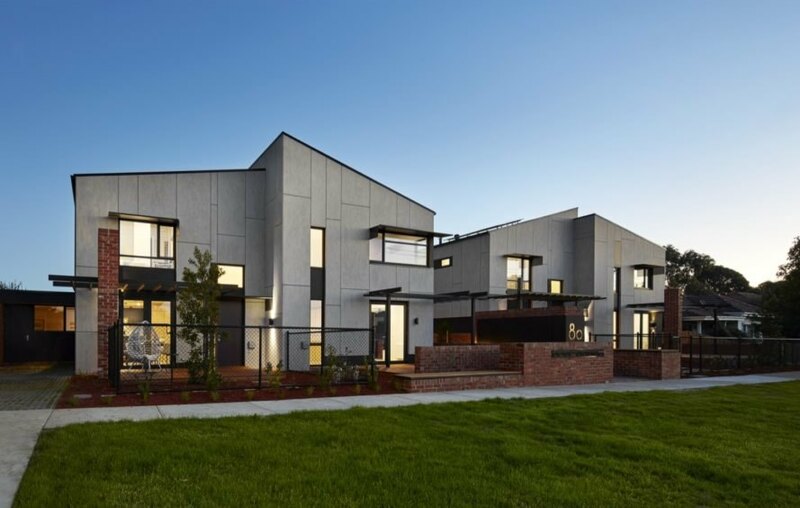 The townhouses are designed with families in mind. Each home benefits from rainwater storage and solar power. Energy-efficient appliances also lend to the sustainable design. The apartments and townhouses range in size from one to three bedrooms. A communal garden allows all residents to embrace their green thumbs. The structures use passive design features for further energy efficiency. The eco-village is focused on fostering a strong sense of community.